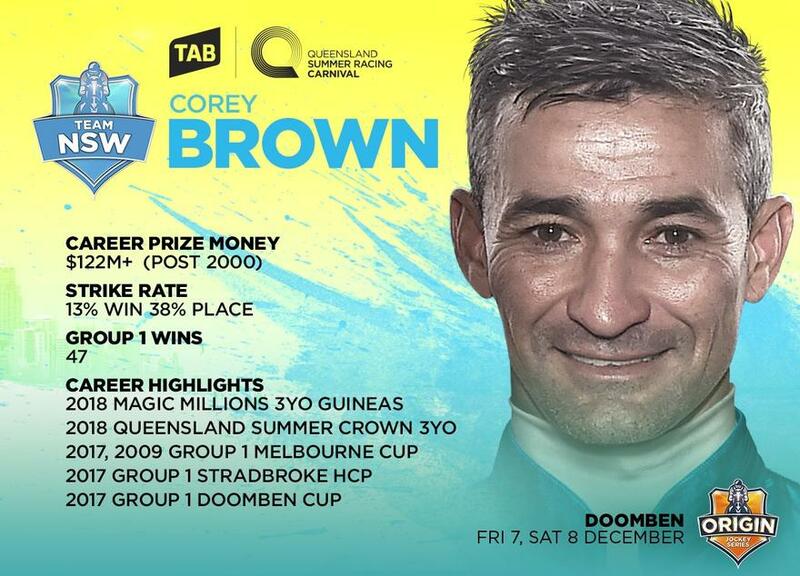 Trainer Chris Munce will be reunited with good mate and champion jockey Corey Brown at this weekend's Doomben meetings when he links up with Munce runners as part of the annual Origin Jockey Series. Brown will ride three of the stable's four runners at the Doomben meetings to be held on Friday and Saturday when he represents TEAM NSW in the Origin series. Chris was happy to draw not only a great jockey but also a good mate for the three runners.